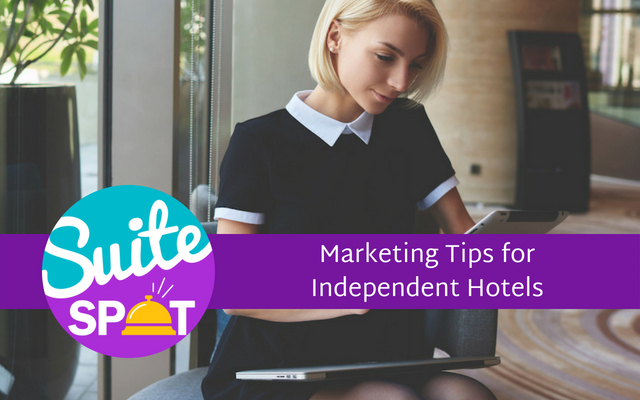 In this episode of Suite Spot, we focus in on the independent hotel segment of the hospitality industry. Host Ryan Embree teams up with the leaders of Travel Media Group’s sales team, Diane Elderkin and Edwin Pomales. In the What's News segment, Ryan reacts to an article displaying the recent growth in the independent hotel segment. The article breaks down independent hotels' performance in relation to market size and which markets investors are targeting for future growth. In The Suite Spot, Ryan, Diane, and Edwin share their thoughts on the cause for this performance boom for independent hotels. 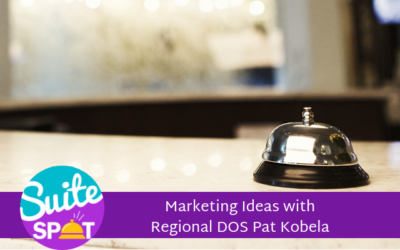 Diane and Edwin share, from a marketing perspective, what advantages and disadvantages independent hoteliers face in comparison to a branded property. They give different recommendations on how an independent hotel can best share its story to travelers. In the Q&A segment, we give a hotelier advice on what to do first as they make the switch from a branded hotel to an independent. To submit a question for future episodes, call or text 407-984-7455. Ryan Embree: Hello and good morning everyone. Happy Friday. This is your host, Ryan Embree, as always here on the Suite Spot. Got another exciting episode for you this morning. Today we are going to be focusing on independent hotels. So let's go ahead and get started and we'll jump into the What's News? So today in our What's News segment, we're going to be looking at uh two articles done by Lodging Magazine recently that had to do with the trends that have to do with independent hotels versus branded hotels. In this article, this is a trend that's actually been happening since 2014. We're seeing the rise of these independent hotels and how they're outperforming as far as ADR in comparison to branded hotels. They look into a report that Expedia did in Q1 of 2017, which shows the independent hotels ADR growth has increased at twice the rate of ADR growth for branded properties. Ryan Embree: Dives a little bit deeper into theories of why this is and the study also looked at how customers and travelers were booking with these independents and actually had found a very interesting point in that mobile-savvy customers are increasingly booking independent hotels and overall mobile demand growth for independents outpaced branded properties and four of the five largest markets. Another thing that this report is going to look into is the market segments in which this has been happening because it actually looks both into small markets in large markets with the larger markets Las Vegas, Manhattan, Miami, Orlando in Los Angeles, these independents have been growing at a substantial amount and these are actually the most popular large markets that independent bookings are being seen. But recently this trend is actually been overflowing and spilling into the smaller markets as well. In one case study, the article actually dives into a city Central Valley North. In California, where independent hotels have increased nearly 110 percent year over year. Ryan Embree: So we also looked at another article that had to do with the investing side of hotels and again speaking to independent hotels, private investors are now targeting more and more independent hotels, especially in smaller markets. We know that our hoteliers are always looking for that competitive edge and I'm sure this article you know and seeing this ADR growth and independent hotels have a lot of people's heads turned and trying to figure out, you know, how they can grow their own ADR. 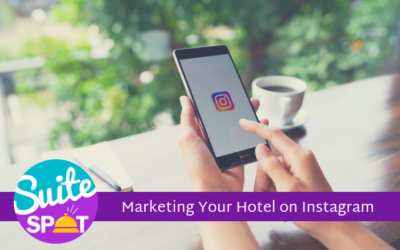 So that being said, let's go ahead and transition into our Suite Spot where we're going to bring in a couple of our experts here at Travel Media Group to kind of show off the advantages and disadvantages to marketing for independent hotels. So let's go ahead and bring in our guests for our Suite Spot today. Ryan Embree: That is going to be Diane Elderkin, who is our digital sales manager and Edwin Pomales, who is our assistant sales manager. Good Morning Diane and Edwin. How are you doing? Diane Elderkin: Good. Doing real good. Edwin Pomales: Doing Great. Glad to be here. Thanks for the invite. Ryan Embree: Absolutely. So today we are going to be talking as you know, about independent hotels and kind of what that approach looks like. All right, so Diane, I'm going to go ahead and start with you and point this question towards you as, as we just heard in our. What's new segment, you know, the rise of independent hotels is a fast growing trend in the hospitality industry. So why do you think the modern day travelers are now more prone to picking an independent hotel than your traditional branded hotel? Diane Elderkin: Yeah, I think that's a really good question. You know, as we go into even 2019, I mean it's crazy how the world's evolving, but I think you need to first look at why people travel, right? So, you know, you get, you finally get vacation time. So you're thinking about different places to stay, you know, different cities, states, so it's all about that area and local relevance. So nowadays it's not, it's not about, you know, the typical sleep quality saying at a brand new hotel, it's about a unique experience and creating different memories. So those independents have those capabilities, you know, whereas brands, you know, they always offer the same type of experiences. Edwin Pomales: Definitely agree with you, Diane, especially the reason that people are choosing to go into these markets. You talk about local relevance and people now when they're deciding where they want to visit, they're really looking at neighborhoods and towns and the things that those neighborhoods and towns offer and independent brands can have the opportunity to be a lot more integrated into what's going on in a specific area. So I think it's culturally people want to experience what's going on in the place that they're visiting and independents do offer that. Ryan Embree: And I think that's really the evolution of the hotel industry as of late, you know, the brands had the competitive advantage because, you know, like you were telling me before, Edwin, Embassy Suites and one area of the country is the same as an Embassy Suites in the other. So you know, the traveler had that peace of mind of having that consistent experience. But nowadays travelers are looking for a more unique experience and independents are, are able to offer that. And we can kind of see that trend in the rise of sites like Airbnb and VRBO and these other vacation rental properties that are from your traditional brand experience. So let's look into your guys's expertise, which is marketing for these hotels, right? When marketing for an independent hotel, what advantages do they have over branded hotels, Edwin? Edwin Pomales: I think their ability to be very flexible and considerate of who their target guests are is a major advantage for independent. A lot of times they're more in tune with who's coming to the hotel as far as target markets and they can pick and choose the marketing according to what their ultimate goal is. Um, as far as implementing strategies for marketing flexibility wise, they could make moves a lot quicker and get things to market quicker than brands can. Diane Elderkin: Yeah. And, you know, if we look at independents, right, there's definitely less red tape. I mean, with these brands you've got, you know, royalty fees and all these different things you got to comply with brands. But with independents, I mean you're really able to tell your story, and I think that's going back to our last question, is that unique experience, they have that creativity, even flexibility over their rates as well as revenue management goals when compared to the brands. Um, you're not locked into that rate parity. I mean, even looking at loyalty programs, right? You look at how you're going to market your property and your rates, they have the capability of offering better discounts and rates. Now versus brands, you know, they're kind of locked in that regulation. Edwin Pomales: I agree. I think a lot of millennials now and the age that we're in where people want things now, uh, these points systems where you're promising something or some kind of discount in the future, but something that's not as appealing to them. So independents do have the opportunity to, to offer a discount at the point of sale, which is very unique. Ryan Embree: That's a very good point. And, you know, one thing that I wanted to touch on is your point, Diane, you know, when it comes to these rates, I think a lot of the time with these branded hotels, you have an expectation of what a rate should be for a specific property or brand. Whereas an independent hotel, you really have the opportunity, you know, to push that rate up in your market and you know, really don't have a cap on where you think your rate should be at. So those are really, really interesting points when it comes to the advantages. Now as we know, there's pros and cons to everything. So what are the disadvantages? Edwin Pomales: I think staying in line when we're talking about there, the rates and you do, you do have less restrictions when you're setting your rate, which puts more pressure on you to come up well as far as your reputation, your social media. So you really have to validate and justify an ADR with an independent just like you would with a brand. So it's really important that all the platforms that people are searching and researching on, you're giving yourself the best opportunity, not only to convert those guests, but also to justify what your ADR is. Diane Elderkin: Yeah, I mean if you think about independents, right? The biggest disadvantage is a lack of brand recognition. I mean, you're, you're in a market, no one knows who you are versus a brand. Everyone knows different Choice, Wyndham, Marriott, so that lack of brand recognition comes with the unknown. So your job is a really market your story and convince them that you're the obvious choice within the market to get the unique experience, especially with the millennials that are traveling nowadays. Um, so the unknown, um, and honestly in other disadvantages that I have noticed as we talk to these owners is a lack of marketing skills and even the revenue management knowledge because with the brand you get that support, you know, versus and Independent. You may not get that. Ryan Embree: That's very true. Edwin Pomales: I agree. And I think brand support, especially when dealing with OTAs, which was a big part of anybody's revenue profile nowadays, you don't have the brand backing you up to help you get better rates from these OTAs and that's definitely a disadvantage that independents are dealing with today. Ryan Embree: So Diane, it's your team's job to really give these hotel owners and GMs consultations on, on how they can market their hotel, um, whether that be an independent or brand. But I want you to speak specifically to what type of approach that your team takes in a consultation when they come across an independent. Diane Elderkin: Yeah, I mean this is, this is very, very important. The good news is honestly with these independents, they are in control now, right? So they don't have these restrictions. Um, so the first thing is when we're taking this consultative approach is we have to figure out what these hotel owners want to accomplish with their hotels. They invest all this money, they decide to go independent. So we just need to figure out what message they want to get across to these travelers. That's step one. And then once we know that story, it gives us the ability to paint that picture for their ideal travelers. Um, so that's kinda the first step. Ryan Embree: Yeah. And I think, you know, it's also I would say, you know, some of these owners, all they've known is the brands, right? So they, it's very hard for them to kind of take out of the mindset of, okay, I want to be a Quality Inn at Fairfield prices or something like that and get them thinking outside the box as far as you know, their brain goes, they are an independent now they have that individuality which you speak of. So coming up with something unique and some coming up with something that works for them in their market, I would say is probably key for that. Right? Diane Elderkin: Yeah. And I think the good news is to, as we were able to partner up with these hotel owners, I know it's, it seems a little bit too much going independent, but I mean there are tools and support out there. That is where we come in. Edwin Pomales: I think it's really important to your point, a lot of them have have been with brands for years and, and when they make that decision to go independent, it's important for our team to tap into what their reason was. What's the reason that you decided to leave that brand? What was your vision going into having independent property? And sometimes it is something as simple as franchise fees are taking control. Alright, well now how are we, how can we grow on that? How do we take that vision, really build on it and help you tell your hotel's story? Ryan Embree: And that's critical, you know, telling your hotel story, especially if you're an independent. Because again, you know, if I'm a traveler or, and I'm coming into a market, I know what the Marriott's about. I know what the Hilton's about, but you know, I might not know what your hotel is about your independent hotel. Edwin, my next question's for you. So you know, again, with your team, what are the different ways you guys recommend an independent hotel can tell that story that we're talking about and share its message to travelers? 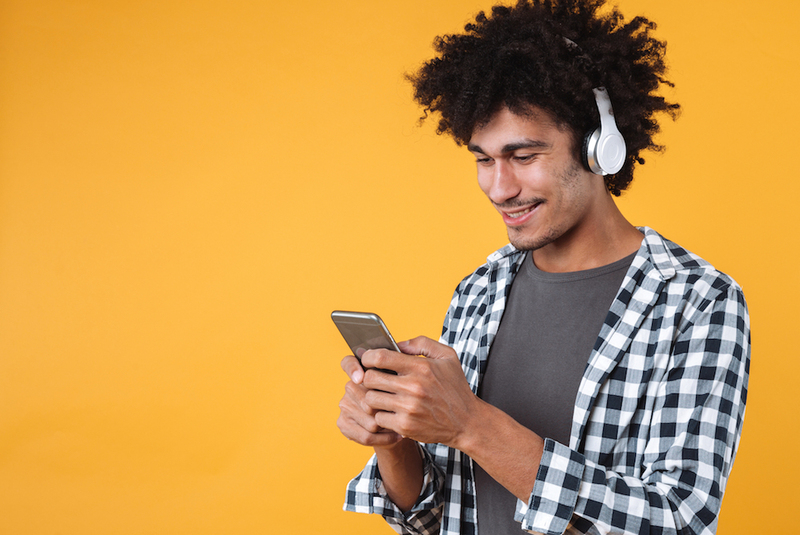 Edwin Pomales: I really think it's really about setting the foundation correctly, so having the platform set up, a website, making sure that your listings are set up correctly, obviously social media. These are the platforms that you're going to be able to use to communicate directly with potential travelers. Diane Elderkin: Yeah, and, and you know, I cannot stress it enough during these times when you're setting that foundation, you cannot cut corners. It's all about investing the time and the money into the right strategies. You know, as you're an independent, you cannot afford to look, you know, unprofessional or unpolished against your competitors and brands. I mean if you even think about it, the brands nowadays there are even investing into boutique properties now. You know, so there is a need for independents and the unique experience. So I mean if we look at what we recommend, it's honestly get out there, create a website, make sure it's optimized, get on social media, get your reviews up to par. I mean you really need to stand out. Edwin Pomales: And obviously getting good with local business owners in your, in your area. That's one of the powers that you have is your ability to connect with other local business owners and start to offer rates to them and get coupons going locally so that way when people are coming into that market, you become an option for them. Ryan Embree: Awesome. So you know, I'd love to keep you guys here and we're going to go ahead and go into our Q&A segment next to answer a question, uh, that a hotelier has. So for our Q&A segment today, we actually have a two-parter once again, and the first one comes from a hotelier that is having trouble competing against independents in his market. He just had a new independent that was just introduced and it's starting to take some of those market share. So he asks "How can I regain that market share and what can I do to compete against this independent hotel?" Diane Elderkin: Yeah, I mean you see that all the time. I mean, rooms or hotels really are being built all throughout the United States, but I think the main thing with brands is really individualize yourself at the local level. I mean it's just like the independent story, right? I mean you, you got to stand out and be different than other brands. Can't be the same Fairfield, three states over you, you are the Fairfield and within that market, in that local market. So I think individualizing yourself and then in addition, using other platforms, like we were saying like use social media. I mean you can still do those different things and you want to focus on that guest experience so that you are consistent. Right? I mean there are benefits to being a brand as well. Edwin Pomales: I agree. 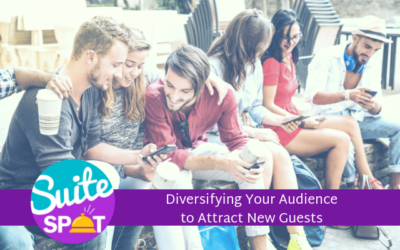 I think delivering on what the expectations of the guests are is key for a brand. If I'm staying at Fairfield, there's some things that I know I have to have so you have to deliver on those and what's really going to separate you and give you that individual feel is when you really focus on that guest experience and focus on the personal connection with these guys walking in there. Ryan Embree: Absolutely. And it's all again about that being brands give you that peace of mind, right? You know, and you, like you were saying, Diane, you need to be able to offer that unique experience at an independent could, but you also can hang your hat on knowing that you're going to receive the standards of a brand. You have the customer service and quality that a nationwide brand would provide you. So those are very interesting points. Um, for the next one, we're gonna take a look at something. You guys are probably come across a couple times. This hotelier is switching from a branded hotel to an independent, uh, from a marketing standpoint, what does that hotelier need to prioritize if they're making that switch? Diane Elderkin: My biggest recommendation is get the word out ASAP. You need to really move fast, you know, update your branding immediately. Um, and that goes into like updating your online listings, throughout all the directories online to help with SEO, creating a website, creating a following on social media. Maybe even deciding on whether or not you want to wipe your reviews online from the brands or maybe keep them. There's pros and cons in both situations, but as an independent, the quicker you move, the better. Another thing you want to look at too is independents are going to start offering unique amenities, right? So you know, as you start to spread the word, you want to maybe talk about, you know, your innovative designs, maybe your cuisine and beverage offerings, um, reflect on local neighborhoods, communities, cultures to continue the idea to inspire people to travel to you. So I mean, if you're an independent nowadays and you don't have a website, you don't have social media and your reviews aren't good and I'm a little bit of concern because, you know, this is your time to shine. Ryan Embree: Those are some excellent points. Diane. I think another thing you have to keep in perspective is, you know, when you are switching from an independent - or a brand to an independent rather -e you do have a customer base, you know, you do have people return visitors that are coming so, you know, don't neglect them. Now that you're turning into an independent, you know, utilize them. Use that word of mouth. Like you guys were both talking about a excellent, excellent points. Thank you so much for being on this show, this episode today. Hope to have you back. We're going to be doing another one of these, um, surrounding marketing for branded hotels. So I'm sure you guys are gonna have some really good insight for that. But again, thank you so much for being on the show with us today. Edwin Pomales: Thank you, Ryan. Diane Elderkin: Yeah, thank you for the invite. Ryan Embree: And thank you to our listeners. Um, again, if you guys are wanting to send us a question of your own, uh, we cover all topics when it comes to hospitality marketing. You can call or text our number 407-984-7455. If you have any questions about the type of consultations that Diane and Edwin's team provides for independent hotels or just have, you know, want to talk to them about their strategies, marketing strategies that they provide, give us a call on that number or text us again. That number is 407-984-7455. So thanks everyone for listening and have a fantastic rest of your day. To join our loyalty program, be sure to subscribe and give us a five star rating on iTunes. Suite Spot is produced by Travel Media Group, our editor is Anne Sandoval with cover art by Bary Gordon and content support by Amber Wojeck. I'm your host, Ryan Embree, and we hope you enjoyed your stay.